My name is Bharat Hans and this is my story! I lived for 25 years in New Delhi with my grand parents who brought me up. As an apprentice I learned repair & maintenance of AC/Refrigerator soon after which I began my own practice. 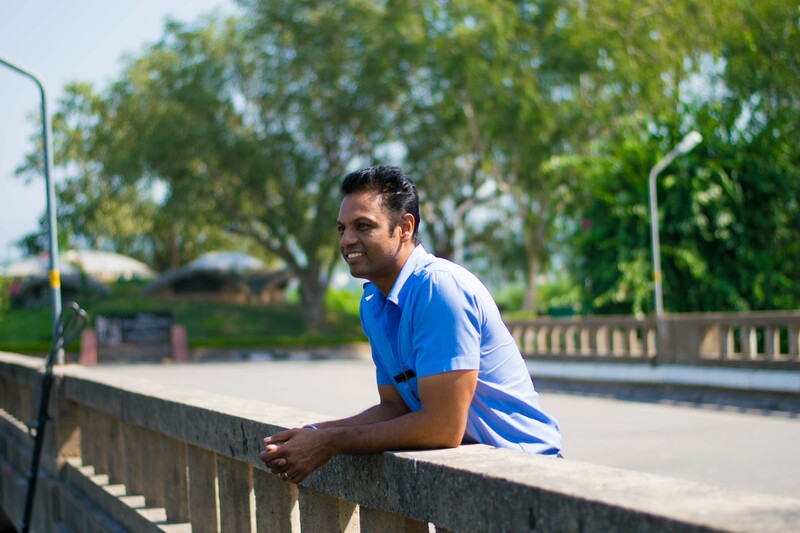 I got married in 1996 & in 1999, we all moved to Chandigarh after selling off our house in Delhi. I opened up my AC repair shop on the ground floor of our house, but it didn’t fare as well as it was doing in Delhi. I was forced to look for another source of income & that’s when I decided to drive my own Qualis! I started doing trips across India, coming home as rarely as twice a month, sometimes even less. I bought another car- an Indica in 2005, as it was more fuel efficient and started working mostly between Delhi and Chandigarh. During one of these trips, I was in Delhi when I heard that my grandfather had suddenly suffered a cardiac arrest and would not be able to make it. I barely managed to see him for 10 minutes before he passed away. I wasn’t so lucky when I lost my grandmother in 2013. She passed away without seeing me, and that is a regret I will have to live with. That day I prayed to God to give me something that helps me make money without having to stay apart from my family. Uber came to Chandigarh as an answer to those prayers for me. I joined Uber and living in the city I was comfortably making as much as I made travelling across the country. I have been able to give my family a good life – my older son is pursuing a diploma in engineering in Toronto, Canada, and the younger one is studying medical in 12th standard. Uber brought my life back on track, and I can’t thank them enough for it. I once had a rider pickup from the airport. It was a family of 6 from Bangalore. They made great conversation during the ride to their hotel, and they even asked me if I could take them to see Amritsar the next day. Not just that, the rider, the one who had requested the trip, worked in a Toronto based MNC- he gave me his card and went as far as promising my son a job in his Company if he ever needed one. 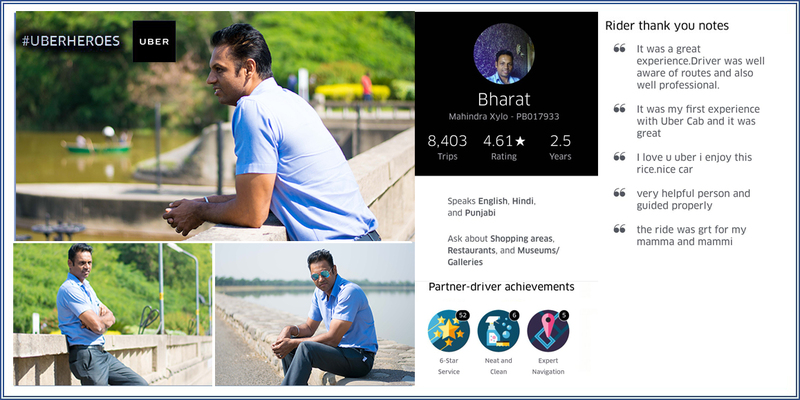 We salute Mr Bharat Hans for being an inspiring Uber partner. Watch out for more such amazing stories soon!